3. Characters are good and bad. Good characters make bad choices. 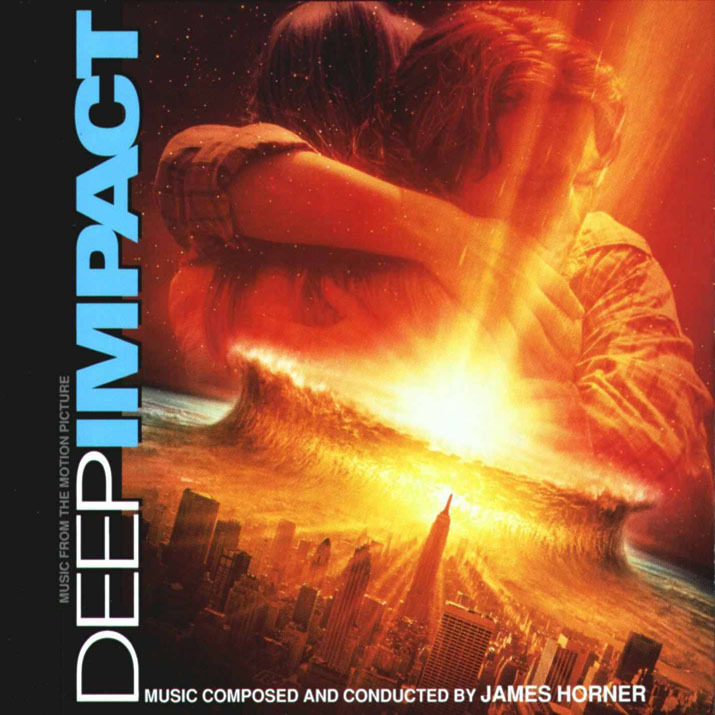 I think the characters of Deep Impact are rich. When Jenny gets to be the television anchor, she doesn’t realize that it’s a mixed blessing. She has a moment in the conference room as everyone leaves, and she tries to make it up to the other woman who outranks her, because it’s obvious that Jenny’s jumped rank, but they don’t connect, and Jenny turns her face to the table and smiles, just a little. It’s a great character moment. She yells at her dad who is trying to reconnect with her as the asteroid heads to Earth–but he comes back, again, to try and win her over, but not too heavy-handedly. And this is enough to convince her to do something sacrificial and “good”–well that and a few more essential events. But it’s all believable and logical. Our characters will not be hated for the little human things they do. They will be believable if you give them time to think and make choices. 4. The special effects were saved for the last minute, and real people’s faces–their humanity–are the center of the cinematography. Look at how often the screen fills with faces. Even in the trailer below (it reveals a lot of Spoilers!–but if you’ve seen the film, it’s okay) But this cinematographer knew to film faces–so many real faces. Too many disaster movies spend all their money on blowing up New York. This movie does destroy New York–but it’s the last possible option–it’s not the whole film. It’s merely a small sequence. The majority of the film is about people preparing for disaster–trying to escape what doesn’t have to be inevitable. Brilliant, brilliant writing. This is how you should do a disaster movie. Watch Deep Impact again and see what kinds of treasures it has in the writing. Writers Bruce Joel Rubin and Michael Tolkin are awesome writers on this film. Rubin has credits for the screenplays to Ghost and Jacob’s Ladder (and sadly, a disastrous film, The Last Mimzy) and Tolkin has writing credits for The Player, Changing Lanes and The Haunting. Remember to have your characters BEGIN with something that has already been happening–give your characters something on their minds. Watch a homemade Trailer that I think emphasizes the human quality of the movie here (again there are SPOILERS there). The original trailer emphasized the disaster movie quality…with annoying sound effects. Didn’t do the movie justice. You can pick this up at Walmart for less than 10 bucks, or rent it on Netflix. That’s great food for thought! Thanks. I look forward to reading more of your posts.